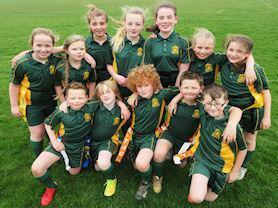 Some of our Year 5 and 6's took part in a Tag Rugby event at Melton Rugby club. They proudly wore the new team kit and competed against other local schools. They came in 5th place overall and had a great afternoon.